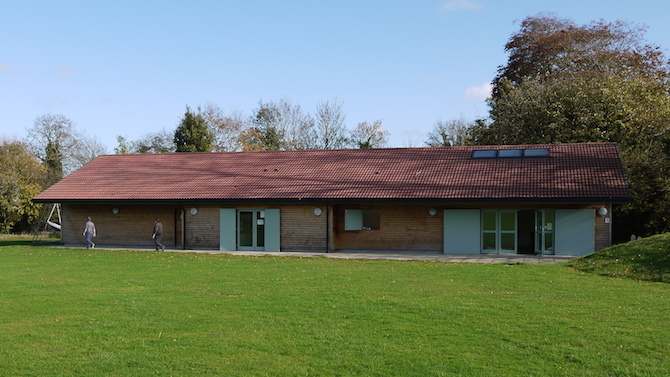 Built in 2012, the Clubhouse provides facilities for local sports teams and a community room with bar and kitchen. The community room, known as the Melland Room, is a light airy space with large double doors opening onto views across the Wessex downs. Measuring 7.2m x 8.5m, it has a capacity of 60 persons. The room is flexible in its setup and can be used for meetings (board or lecture style) and is fully equipped with audio-visual equipment and wifi. Next to the Melland room is a kitchen with a bar opening into the main room. For booking and general information please e-mail blewburyvillagecic@gmail.com or call 07969 526084. Current availability is shown in the Bookings Diary below. Kitchen has a kettle and urn, a cooker, a small fridge and crockery, cups and cutlery. For bar use there is a drinks fridge and a range of glasses.